PRICE REDUCED! CALL NOW TO VIEW, BERTH STILL AVAILABLE!! This is a fantastic, fun boat, with which to explore the Calas with. Fast, yet roomy and stable. This one benefits from hydraulic engine cover lift, and class - leading sound insulation. In addition, the high - season mooring fees are included and then lease is extendable afterwards, in a highly - sought SW Mallorca location. 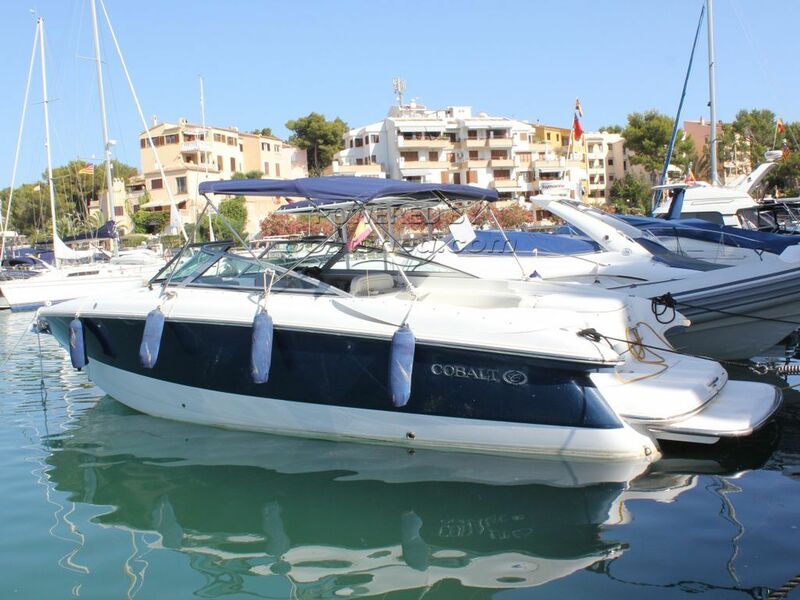 This Cobalt 282 BR has been personally photographed and viewed by Rory Gillard of Boatshed Palma. Click here for contact details.